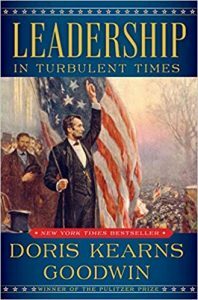 In this Culmination of 5 decades of acclaimed studies in Presidential History, Pulitzer Prize-Winning author Doris Kearns Goodwin offers an illuminating exploration of the early development, growth, & exercise of leadership. In Leadership, Goodwin draws upon the 4 presidents she has studied most closely-Abraham Lincoln, Theodore Roosevelt, Franklin D Roosevelt, & Lyndon B Johnson (in civil rights)-to show how they recognized leadership qualities within themselves & were recognized as leaders by others. Leadership tells the story of how they all met with dramatic reversals that disrupted their lives & threatened to shatter their ambitions forever. Nonetheless, they all emerged better fitted to confront the contours & dilemmas of their times. No common pattern describes the trajectory of leadership. Although set apart in background, abilities, & temperament, these men shared a fierce ambition & a deep-seated resilience that enabled them to surmount uncommon hardship. At moments of great challenge, they were able to summon their talents to enlarge the opportunities & lives of others. This seminal work provides an essential & accessible road map not only for aspiring & established leaders in every field but for all of us in our everyday lives. The spectacular cyber attack on Sony Pictures & the costly hacks of Target, Home Depot, & databases containing sensitive data on millions of US federal workers have shocked the nation. Despite a new urgency to address the growing threat,the hacks keep coming—each one more pernicious than the last—from China, Russia, Iran, North Korea, the Middle East, and points unknown. The continuing attacks raise a deeply disturbing question: Is the issue simply beyond the reach of our government, political leaders, business leaders, & technology visionaries to resolve? 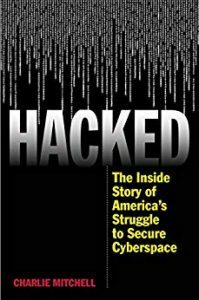 In Hacked: the inside story of America’s struggle to secure cyberspace, veteran cybersecurity journalist Charlie Mitchell reveals the innovative, occasionally brilliant, & too-often hapless government & industry responses to growing cybersecurity threats. He examines the internal power strugglesin the federal government, the paralysis on Capital Hill, & the industry’s desperate effort to stay ahead of both the bad guys & the government.